Sikh Coalition's Blog | Coalition staff speak out. Amardeep Singh, Programming Director and Co-Founder of the Sikh Coalition has been on the ground in Oak Creek, WI and gives MSNBC Brian Williams show a view of what’s important in following up to this atrocity. CafePress, one of the largest online retailers in the world, is selling shirts that incite bigotry toward Sikhs. The shirts — which say “No More Ragheads!” and “No More Towelheads!” — are offensive and dangerous, especially in the context of hate crimes against Sikhs in the post-9/11 environment. The Sikh Coalition has issued an open petition to CafePress, demanding that these products be removed and — equally importantly — that the company implement better internal controls to ensure that bigoted products are never sold by the company again. If CafePress has the capacity to market, warehouse, and ship these shirts, surely they have the resources to prevent them from being sold in the first place. If you believe that CafePress should remove these dangerous products and issue a public apology, with assurances that they will implement better internal controls to keep hateful products off the market, please make your voices heard and sign our petition today. You read that right — the FBI refuses to track anti-Sikh hate crimes, even while Sikh houses of worship are vandalized and Sikh civilians are targeted because of their distinct identity. And that is why the Sikh Coalition encourages you to sign a petition to U.S. Attorney General Eric Holder demanding that the federal government track anti-Sikh hate crimes. The Federal Bur eau of Investigation (FBI) documents hate crimes in the United States on Form 1-699, the Hate Crime Incident Report. The statistics collected by this form allow law enforcement officials to analyze hate crime trends and allocate resources accordingly. Unfortunately, the FBI assumes that all hate crimes against Sikhs are motivated by anti-Muslim bias. In addition, the Sikh Coalition has learned that some FBI officials consider Sikhs to be followers of a Hindu sect. For these reasons, hate crimes against Sikhs are not being accurately documented. Our community remains officially invisible and irrelevant to the FBI, even though Sikhs are usually targeted because of their Sikh identity. We believe that the FBI has the capacity to document anti-Sikh hate crimes. For example, Form 1-699 does an extremely thorough and nuanced job documenting crimes motivated by anti-gay bias, going so far as to maintain distinct categories for anti-lesbian hate crimes and even anti-bisexual hate crimes. In addition, Form 1-699 has been designed to capture data about hate crimes in such far flung places as auto dealerships (for new and used cars), daycare facilities, and amusement parks. Given the willingness of the FBI to invest time and paperwork into monitoring these other categories, it should not be difficult for them to create a separate category for Sikhs. This is an effective way for the federal government to monitor and allocate resources toward preventing hate crimes against Sikhs. Indeed, how can you diagnose a problem if you don’t even track it? If you believe that the federal government should track hate crimes against Sikhs, please spare one minute of your time and sign our petition today. The Sikh Coalition has obtained previously unreleased TSA documents. Written in 2009, these documents show that the agency can pursue several auditing options to weed out racial and religious profiling. In addition, the authors of the document apparently miscalculated the effectiveness of Advanced Imaging Technology (AIT) machines, recommending that TSA determine which auditing option to implement “during the interim period of time it takes to deploy advance[d] passenger screening technologies” and claiming “that advance[d] screening technologies, beyond those deployed [in 2009] will reduce or possibly eliminate perceptive profiling[. ]” As it turns out, Sikhs are still subjected to secondary pat down screenings, even after passing through AIT machines without incident, and other communities continue to report discriminatory treatment by TSA personnel. In this context, TSA needs to take its auditing options more seriously. Securing a meeting with a congressional office to talk about the Safe Schools Improvement Act is something an average citizen might see as a difficult task. I definitely thought so, until I actually did it. One day after requesting a meeting, I received appointments for July 11, 2011 from the offices of Congressman Peter Roskam (IL) and Senator Claire McCaskill (MO). I was set to go to Washington DC and walk the halls of Congress! Many questions filled my mind: How should I present the bill? Can I do this by myself? And most importantly — why does this elected official’s office care to meet me? After talking to Rajdeep Singh and Amardeep Singh from the Sikh Coalition, my questions started getting answered. I solidified my talking points for the legislation that I would be bringing forward to both offices. Rajdeep helped me join hands with two other organizations that support the bill: GLSEN and the Interfaith Alliance. Amardeep instilled in me the focus of how I, as a constituent, have the duty and power to present the problems of the elected official’s constituency and provide corrective measures. With the focus of the bill correctly in my head, two powerful organizations confirming attendance to join me, and me knowing why I should be presenting this bill, I was ready to conquer these meetings. The Safe Schools Improvement Act is a proposed federal anti-bullying law. If enacted, it will require schools and school districts to collect and publicize data about incidents of bullying and harassment. This will create incentives for school officials to protect students and allow government agencies to quickly identify schools and school districts where problems exist. As I arrived at Congressman Roskam’s office, I kept on thinking how important this meeting was and how much I wanted the Congressman to support this bill. My talking points were repeating in my head of how much bullying has increased and why the data-gathering requirement laid out in the bill is necessary. That itself withered away my nervousness as I felt the need to speak about this problem to my Congressman’s office. Accompanying me to the meeting were Rebecca Weidler, the public policy intern from GLSEN; Arielle Gingold, the deputy director of public policy at the Interfaith Alliance; and Rajdeep Singh. After I outlined the problems of bullying in Illinois and the bill proposal to Congressman Roskam’s legislative assistant, Rebecca provided statistics, and Rajdeep and Arielle explained the data collection requirements that schools would need to implement under the law. Within 20 minutes, the meeting was done, and the legislative assistant explained that he would present the bill to Congressman Roskam for consideration. Later in the afternoon, I met with Senator Claire McCaskill’s office. Having had practice with the earlier meeting, I felt less nervous and more energized to say what I wanted to say. Arielle accompanied me to this meeting along with another policy intern from GLSEN, Noel. The meeting went as smoothly as the one in the morning. I started by outlining the need for the bill; Noel summarized the disheartening statistics of bullying in Missouri; and Arielle wrapped up by discussing the specifications of the bill. My Capitol Hill experience was beyond what I expected. I never thought being able to walk up to my Congressional offices and talking to Congressional staff about an important issue would be this easy. Building a strong alliance for the meeting was extremely necessary, as it helped convey the bill through different viewpoints for the same cause. As nervous as I was, it was equally rewarding to know I utilized my resources and did my duty as a constituent to engage with my elected officials. It remains to be seen whether Congressman Roskam and Senator McCaskill will co-sponsor the Safe Schools Improvement Act. They need to hear from more constituents. In the meantime, you can ask your elected representatives to support this important legislation by clicking here to sign a petition telling Congress to end school bullying. See a Sikh, Call the Cops? Imagine that you are an amateur photographer, taking pictures of landmarks in your city. You are wearing a turban in accordance with your Sikh beliefs and minding your own business. A passerby notices you from a distance, calls the police, and tells them that a man of Middle Eastern appearance is taking pictures of the area. Suddenly, you are surrounded by three police officers, who begin to interrogate you. After several minutes, it becomes clear that you’ve done nothing wrong, but the experience is unsettling nonetheless, because you’ve just been racially profiled. Should you be able to do anything about it? Not according to most members of the Judiciary Committee in the U.S. House of Representatives. 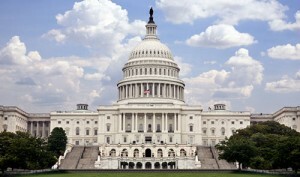 On July 20, 2011, a majority of the Committee approved a proposed federal law titled H.R. 963, The See Something, Say Something Act of 2011. Although the legislation is designed to encourage individuals to communicate freely with law enforcement officials without worrying about frivolous lawsuits—and although this is uncontroversial—there is nothing in the legislation to discourage private individuals and police officers from engaging in racial profiling. This important point was made during the Committee’s July 20 meeting by California Congresswoman Judy Chu, who offered an amendment that would have addressed profiling concerns, and who condemned racial and religious profiling against Sikhs and other minorities. To be sure, H.R. 963 still needs to be taken up by the entire Congress before it can ever become law, and the Sikh Coalition will work with Senate offices to promote corrective amendments, but the warm embrace the bill received in the House Judiciary Committee underscores the ease with which legislators can discard our most basic civil rights. Originally published in the Washington Post. To read the article, click here. It is impossible to comprehend the depth of sorrow that has been wrought over the years by Osama bin Laden and his gang of criminals, who celebrated the murders of thousands of human beings on 9/11 and shattered the lives of countless more throughout the world. As easy as it might feel for some to celebrate his death with street parties and sloganeering, a more constructive way to mark his death is to vigorously promote peace and interfaith solidarity in our diverse communities. Nothing would hasten the demise of violent extremism more effectively than the construction of a world in which people of all faiths (and no faith) close ranks and work toward their common goals in a spirit of mutual respect and appreciation. The Sikh religion was founded over five centuries ago in South Asia and is presently the fifth largest world religion, with more than 25 million adherents throughout the world. Sikhs are distinguished by visible religious articles, including uncut hair, which Sikh men are required to keep covered with a turban. Although the Sikh turban is a symbol of nobility and signifies a commitment to upholding freedom, justice, and dignity for all people, the physical appearance of a Sikh is often ignorantly conflated with that of Osama bin Laden, whose turbaned and bearded image receives copious publicity in our mainstream media. As a consequence, Sikhs in the United States are ridiculed and stereotyped because of their appearance (often to the point of being openly slurred as ‘Osama bin Laden’) and even subjected to bias crimes, racial profiling, employment discrimination, and school bullying. Although bigoted oversimplification of this nature might strike many readers as ironic or even patently absurd—akin to casting aspersions on all Europeans (and ‘European-looking’ people) because Hitler happened to be German—many Sikhs look forward to the day when the sight of a turban evokes appreciation instead of apprehension.